Empire star Terrence Howard hasn’t had the best year in his private life. 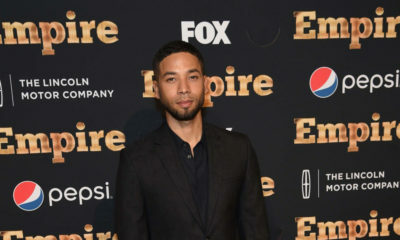 Professionally he landed a huge role on hit series Empire but in his personal life he has been accused of domestic violence by two ex-wives and has been served divorce papers by another. 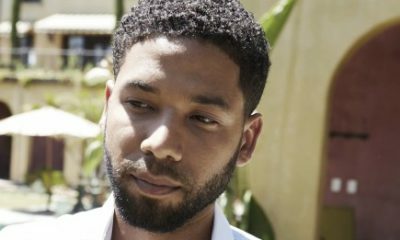 In a bid to come clean about everything, he had an interview with RollingStone magazine where he talks about having many sides to show the world, growing up with his father, the domestic violence allegations and so much more. Plus, there’s the part where he watched his father kill a man. On showing the world his many sides: Today, for me, has been about searching out who I am. We’ve got all these different faces that want to come out — there’s at least four just in this moment, with a possible expansion to 432 — but which one do you let out? Is it the person who’s cool that you’ve mastered? Is it the excited little boy? On his soon-to-be ex-wife, Mira Pak: When you meet your one, it’s completely balanced. I don’t have any greater authority than she does. It’s the only thing that really works. It’s always been a hard road for me. I run into bad luck. But I run into good luck too, so it’s even-steven right now. I’ve got a good wife. On his ex-wife, Michelle Ghent: You know, all my checks from Fox are being held for garnishment, because of my ex. I’m broke as can be. But my wife, she did well for herself, so she’s covered us. This place, she’s renting it. I’m suffering. There’s nothing worse than being a broke movie star. 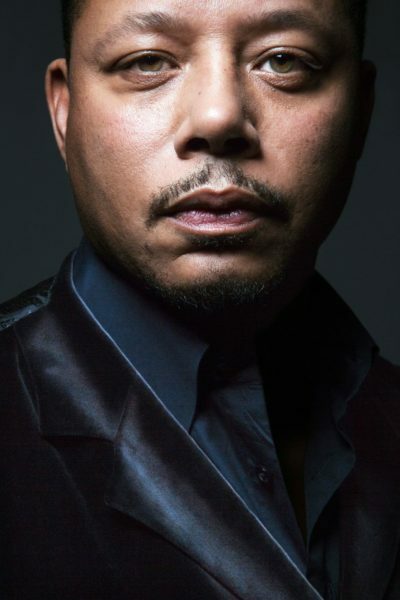 On playing Lucious Lyon in Empire: Everything I do with Lucious is still me. I just change the vibration. Because Lucious has a very base understanding of life — kill or be killed — I keep him down at a very low frequency. I’m just trying to pay my bills. I’m looking forward to this show running its course. If I make a decent amount of money from it, I’ll retire. On hitting his first wife: She was talking to me real strong, and I lost my mind and slapped her in front of the kids. Her lawyer said it was a closed fist, but even slapping her was wrong. 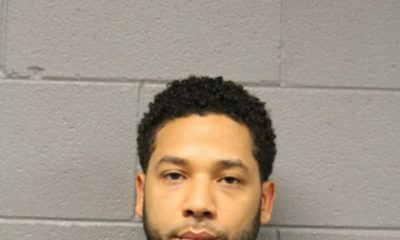 On hitting his second wife: She was trying to Mace me and you can’t see anything so all you can do is try to bat somebody away, and I think that something caught her. But I wasn’t trying to hit her. On watching his father kill a man: I was standing next to my father, watching. Then stuff happened so quickly — blood was on the coats, on our jackets — and then my dad’s on a table and then my dad is gone to prison. On learning from his father: My daddy taught me, ‘Never take the vertebrae out of your back or the bass out of your throat. I ain’t raisin’ sheep. I raised men. Stay a man.’ But being a man comes with a curse because it’s not a society made for men to flourish anymore. Everything is androgynous, you know? The more successful men now are the effeminate. The people that judge you don’t matter. They’re not real. Everything is just frequencies. On changing the world: This is the last century that our children will ever have been taught that one times one is one. They won’t have to grow up in ignorance. Twenty years from now, they’ll know that one times one equals two. We’re about to show a new truth. The true universal math. And the proof is in these pieces. I have created the pieces that make up the motion of the universe. We work on them about 17 hours a day. She cuts and puts on the crystals. I do the main work of soldering them together. They tell the truth from within. Humm! T.H obviously has some underlying issues that he needs to deal with. Best of luck to you T.H, no doubt you’re a brilliant actor. Ughh Bae, why you so troubled? He has 2-ex wives… remarried the first ex and divorced again. I am tired of journalists not being innovative with their questions. Every news outlet seems to want the same angle. Its tiring and makes the celebrities look like they just want to continue to talk about traumatic experiences in their past forever and ever. No wonder there’s a perpetual deadness in his eyes. pain, history, and he channels that into these memorable roles. i wish him rest and relaxation, forgiveness, good health insurance, a wonderful shrink.